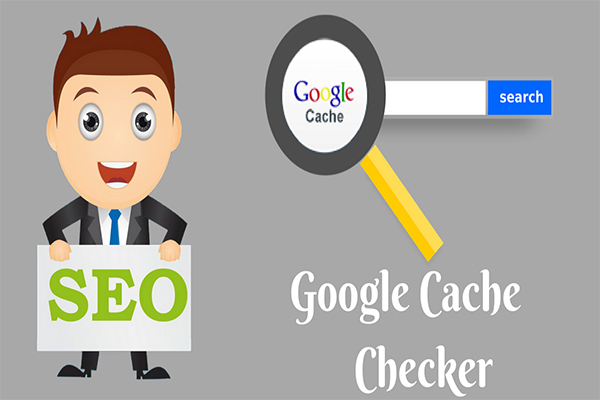 Google cache is an automated system that continuous cache your site at the particular period of time all your web pages. When the robots crawl again your site, it will re-update cache of the web page into google the main server for better ranking on search engine. Whether you update any new content or nothing on the web page, the functionality of crawler still is working on indexing the web pages. Once your web page has been indexed, a cached copy of your web page will show when was the last bot has been crawled. If you want to create robots file use our free robots txt generator tool, and similarly, if you want to find how Google spider will work then check search engine spider simulator. The main purpose of the tool is to identify cache status information of website when was the last modified by the site owner. By searching every URL for cache status takes a long bit of time on the google, but we bought a simple tool to find cache status within seconds instead of waiting for a long time. The online google checker tool is very user-friendly and can be checked on any device without issues, it is recommended as one of the most important seo tools by professionals. How to use the Google cache checker tool? To tool is very simple and does not require much technical knowledge for checking your cache status. Just identify the 20 Url’s to know the cache status by just placing the Url’s on the respective text box and click on the submit button. The tool will run in the background and identify all the modified time and date on the web page that was last used the user. How does google cache's your web-page? If Googlebot has already crawled your page, and if any new request comes from webmaster it replaces the old version of the cached page with a new updated version of cache. Suppose your website loads too slow or unable to access the pages than google cache will show the stored version of a webpage to the user without accessing your server. Googlebot crawler used to crawl web pages and archives. When a crawler visits a webpage, it takes a snapshot of content, images, links, source codes and other elements stored in the database. When a user searches for a webpage with a keyword, it immediately serves the saved results and able to access cached pages much faster. The results which are achieved are known as Google web archive files or it is called as WARC. How Google Cache is helpful? - When an owner of the site deletes any content by accident and not able to retrieve the content. Then cached page from google server can be retrieved easily and quickly. - If the server gets too many requests and unable process the request will result in server down. In this case, also we can fetch the data from cache pages. - If any site is blocked and unable to access the page, just visit the cached webpage from google and retrieve the information. - If the site loads very slow, thus reducing speed between user and server. Sometimes cache may not available if the server does not respond initially. To increase visitors for your site, it is required to upgrade the server and reduce bounce rate. So check your website page speed regularly. So how to check the cached link of your webpage? - Once it appears on google search, click on the green down arrow button on right side of the page Url. - Finally, you can view the cached page. The saved copy retrieves from the server which is used for indexing. It stores images, content links, source code, and design style to help viewers to understand the process of crawling. If you want to see the original page, click on the current page link on top of the page. Googlebot cache's all the website in the similar pattern and index on the search engine. Not everytime it shows the same results, but it rather changes over a period of time if any new changes have been updated on the webpage. It only reflects the updated version of google cache completely. - Then type the respective Url which you want to check the cached page. - Finally, click enter you will be directed to see the cached webpage. The tool will work completely online without downloading any external software to check last modified on the site before going to update any fresh content. If you want check cache status of many web pages, this is the best place to find your web pages cache status around 20 URLs at a time. Whenever any site goes down due to technical problems or improvements on the site. Still, you can access your site using cache URL to know the last modified time and date. Whenever server goes down to a particular site, still there is a chance to access the site offline without retrieving information from the server. But only uses google cache server to obtain information of site for the limited period of time before Google crawls and indexes your site. There are two ways to check your page is cached by Google or not. 2)The second way you can use our Google cache checker tool to know when your page has been crawled and indexed. To know more about crawling and indexing, just follow Google Webmaster guidelines.